Offered is an assortment of Geotextile Testing Equipment. Our offered products range includes Hydrodynamic Sieve Test Apparatus, Dry Sieve Test Apparatus and Interface Friction Measurement Apparatus. Universal Testing System for Geotextiles is manufactured in compliance with the predefined industry guidelines. Owing to the high tensile strength, supreme tear resistance, greater efficiency, lightweight and regular performance, these testing systems are massively applauded. Our precious customers can avail these systems are budget-friendly rates. EKE 24605: Narrow strip tensile strength grip, wedge type 8 mm wide. EKE 24606: Wide width Tensile strength grip, wedge type 225 mm wide. Being one of the preeminent names of the market, we are engaged in the manufacture and supply of Interface Friction Measurement Apparatus that can be availed at low rates. 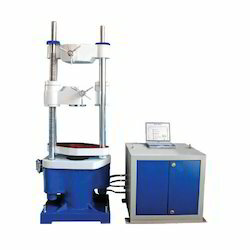 The proffered series finds a huge application in conventional direct shear test frames. Proposed collection is provided in tamper proof packaging so as to prevent damages. 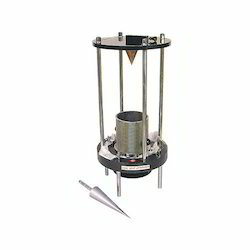 Enkay Enterprises is a reputed name in the industry that manufactures, supplies and exports precisely designed and developed Cone Drop Test Apparatus. The proposed selection is manufactured using advanced technology based machines. 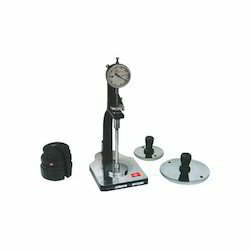 Lightweight, portable and extremely durable, the offered apparatus provides the qualitative comparison, when used with other direct tensile test results. Being one for the prominent names in the field, we are engaged in the manufacture and supply of Geotextile Permeameter that is offered at affordable rates. Due to its vast water tank capacity, consistent performance, efficient results, and robust construction, the proffered assemblage is extensively demanded. These devices are examined for their quality before the final transmission. Geotextile permeameter comprises of a specimen holder assembly for holding a specimen. 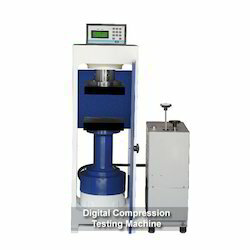 Our company is considered a well known name in the field that engages in manufacturing and exporting Digital Compression Testing Machine. 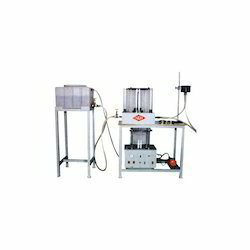 Compact and ruggedly constructed, these testing machines are widely used for site applications. Two major parts of the offered series are loading and pumping unit. Proposed collection is light in weight and portable. Maximum load is held and retained for approx 15 min. Being counted amongst the finest manufacturers and suppliers of a commendable range of Servo Hydraulic Universal Testing Machine, we direct all our efforts towards maintaining its quality. Thus, we engage in using the finest raw materials and modern technology in its manufacture. 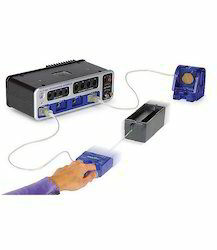 Owing to this, the offered product has a longer functional life and commendable functionality. Further, it is marked at the best rate possible. 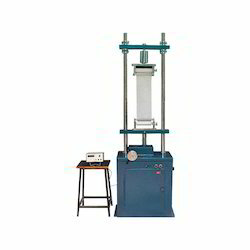 We are engaged in offering Hydrodynamic Sieve Test Apparatus that is equipped with two test drums, two troughs and rods. 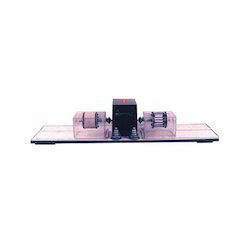 Made available in different specifications, this efficient and robustly constructed apparatus comes with motor drive and change gear assembly for enabling the rotation of the drums at an excellent speed. Offered apparatus is examined for its quality before the final dispatch. Enkay Enterprises is concerned with the manufacture, supply, and export of Dry Sieve Test Apparatus that comes with clamping arrangement to place the geotextile fabric. Manufactured in compliance with the predefined industry standards, the proffered apparatus is robustly constructed and offers a longer functional life. These provide accurate results.